Y U NO SCROLL? : Is There A Problem Here? : Y U NO SCROLL? 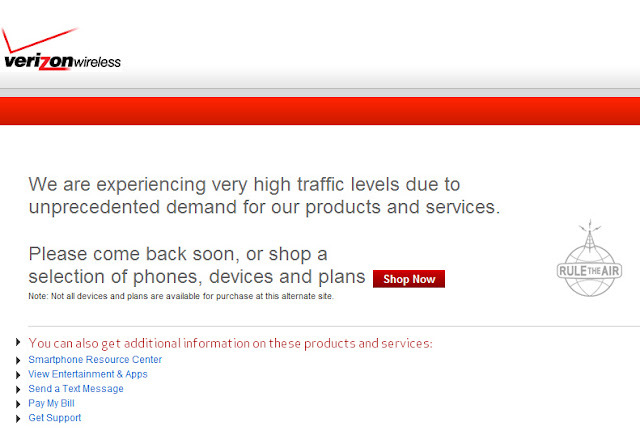 In one of my many unsuccessful attempts to login to the Verizon Wireless website to pay my bill, I notice that the Unprecedented Demand error page contains a "Pay My Bill" link. I already authorized payment. I entered valid information. My credit card is valid and has funds available. I see no "Accept" or "Decline" options. I also see no scroll bars. When the page last refreshed, it took the scroll bars off my browser window. How am I expected to accept or decline when I can't see the buttons I have to press to do either. An automated GUI test could click those buttons without seeing them, but us human users can't click what we don't see -- at least not without bringing up development tools. I can't login to my account. 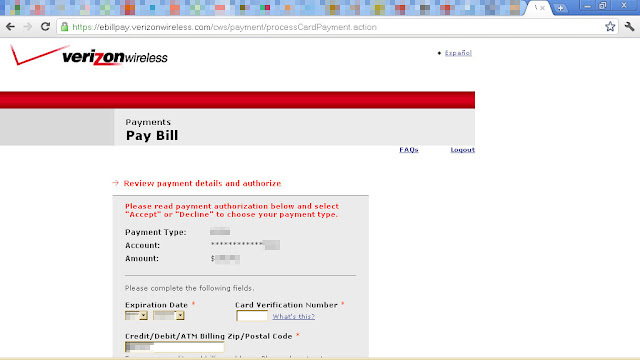 It appears that my valid credit card isn't being accepted, but there's no specific statement (that I can see) stating that the payment wasn't processed the first time I pressed the "Accept" button. And now I can't scroll to see the rest of this page. 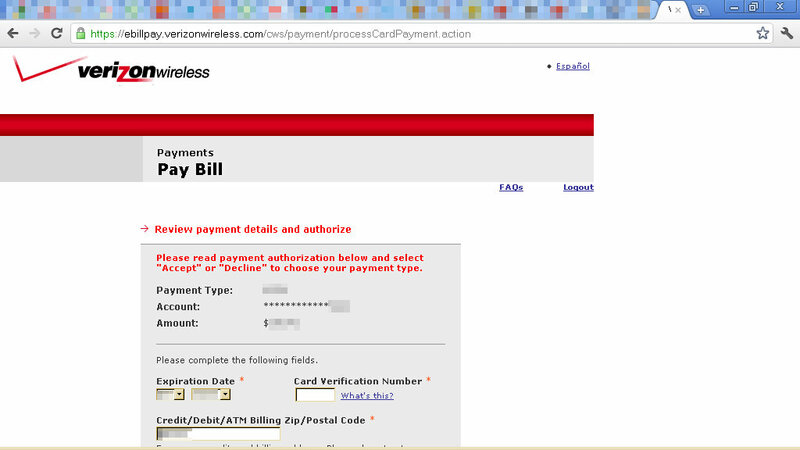 I wanted to pay my bill, not test a website.